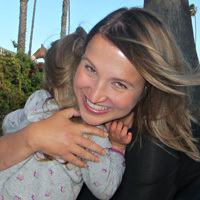 The three most dreaded words in the English language are “Mom, I’m bored.” I mean, are you kidding me? Try doing your taxes, kids. Now that’s boring. 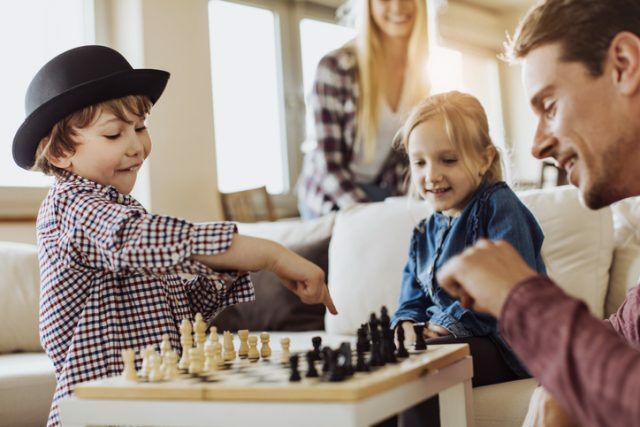 Luckily, board games for kids are a surefire boredom buster, and they’re secretly educational, teaching strategy, game theory, math and reading skills without kids even realizing they’re getting schooled. Now that my older daughter is 7, I’m having a blast showing her the classic board games from my childhood. (I don’t believe in letting her win, but given my addled mom brain and perma-exhaustion, it’s a pretty level playing field.) We’ve also tested some new family board games that I think are destined to be classics. As for my toddler, she just loves card games for kids. You’ve heard of 52 pick-up right? 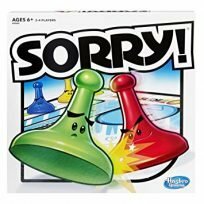 Kidding, but luckily, some of our favorite family board games now come in junior editions that are preschool-friendly. So enjoy these 12 fun family board games together or train your kids to play them with siblings and friends. With any luck, you won’t hear “Mom I’m bored” until your next road trip. 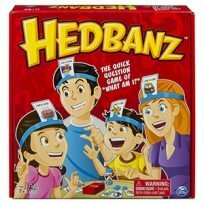 The first thing to know about Hedbanz is that players get to wear silly plastic cardholders on their foreheads so that they can’t see their own cards. The goal is to find out what is pictured on your card—generally some type of animal, food or thing—by asking yes-or-no questions of the other players. A list of suggested prompts such as, “Am I salty?” and “Can I fly?” is helpful to younger kids. The whole family will have a royally good time playing this card game for kids, but pink-wearing princess lovers may have a special fondness for its fairytale lingo. 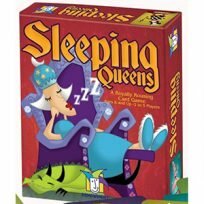 Your goal is to “wake up” the sleeping queens (facedown cards) and collect points, but look out for knights trying to steal your ladies and sleeping potions that send your queens back to dreamland. 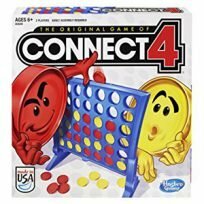 Connect 4 is like Tic Tac Toe using checker-shaped discs in a vertical game board. Your objective is to line up four of your discs (either red or black) in a row while blocking your opponent from doing the same. This board game for kids is super simple, yet holds their attention for a long time, especially if they’re trying to beat you. Turn your family into high rollers with this classic game of risk and rewards that has more in common with a Vegas casino than a typical board game for kids. Each player gets a scoresheet with categories such as “twos” and “three of a kind.” Players roll dice to achieve the best possible hand, then mark the outcomes on the scoresheet. 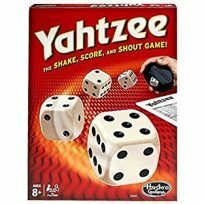 The catch: each category can only be used once, leaving players to decide whether to play it safe and grab any available category or hold out for the big prize—Yahtzee—which is five of a kind. 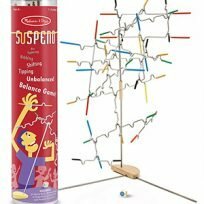 Suspend plays like a reverse Jenga, where instead of removing blocks from a tower, you’re taking turns hanging rods from a stand (and it’s so much quieter when it falls). Even if the whole family is not available to partake in the fun, this is a great one to practice solo. Tingle Books to Get You in the Mood This Valentine’s DayWhy I Am Bringing My Family to See Captain Marvel Tonight!